Mt Kenya has 3 main peaks – Batian, Nelion and Lenana. The first 2 peaks are technical climbs whilst Lenana is a non-technical hiking option. This itinerary takes you to the summit of Batian and in doing so means special equipment and extra guide support. 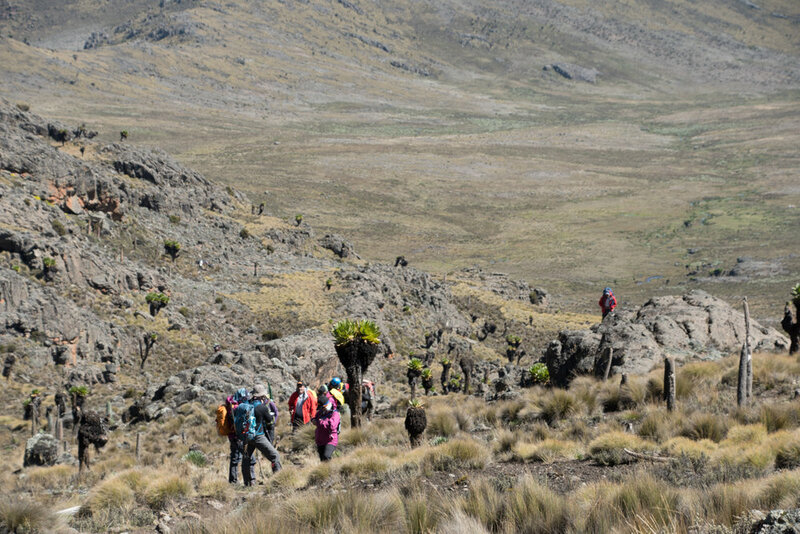 A 7 day ascent of Batian starting at Sirimon gate and ending at Naro Moru. 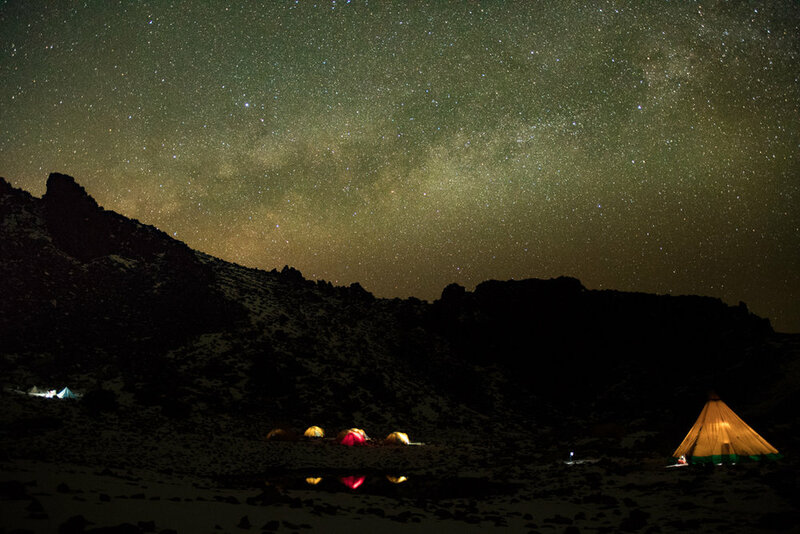 A camp is provided throughout with a great crew and porters led by our excellent guides. This itinerary includes an extra acclimatizing day at Shipton’s prior to beginning the technical ascent. All the best parts of Mt Kenya, stunning views of the peaks, tarns and fantastic endemic flora. A chance of seeing some wildlife and arguably the prettiest high altitude hike in East Africa. At 0800hrs you will be picked up from your Nairobi hotel (or Nanyuki) and transferred to the Sirimon Park gate (alt.2700m). After a picnic lunch; you start an acclimatisation hike in the tropical woodland occasionally enjoying the sighting of a monkey, a buffalo or even an elephant arriving at Old Moses camp (alt.3200m) in the early evening. After breakfast, we start the hike of the moorland vegetation walking through the picturesque views of the Sirimon and the Mackinders valleys arriving at Likki North Hut in the early afternoon. Lunch at this camp and later take an acclimatization walk around the camp. Whole day spent at the Shiptons camp with an acclimatisation hike to the Kami Hut (alt.4300m) where climbers will also have a chance of a rock climb rehearsal with the technical guide. Wake up at 0400hrs and have some tea and biscuits before attempting the scree to the base of Nelion where we start our technical ascent to Nelion peak (alt.5188m).Continue the climb reaching Howell hut in late afternoon,we spend the night at the Howell hut in readiness for Batian the following day. Abseil from Howell hut to Batian peak(5199m) which is the highlight of our climb and later after taking pictures descend down to the Austrian camp for a well deserved Brunch descending further to the Met Station along the Naromoru route for dinner and overnight. At 0800hrs depart the camp and walk through the bamboo forest to connect with your transfer vehicle at the Naro Moru gate. From here you head to Nairobi for a well-deserved shower!